Presidents and Vice Presidents 1889-2007. Presidents and Chairs 2007- (following conversion to a not-for-profit Limited Company). Memorandum and Articles of Association of Leicester Secular Society Ltd.
Former Rules of the Leicester Secular Society. Gould 1900: A History of Leicester Secular Society, by F. J. Gould, 1900. Gould 1923: The Life-Story of a Humanist, by F. J. Gould (published by Watts & Co, London 1923). Extracts are available here; the book is in the LSS Library. Gimson 1932: Random Recollections of the Leicester Secular Society, with Digressions. Part I 1932 (pages 1-24). Hawtin 1972: A Century of Progress: The Story of the Leicester Secular Society, by Gillian Hawtin, 1972. The Five Busts: Photographs of the five busts on the front of the hall; from the CD-Rom A Walk Round Leicester produced by Max Wade-Matthews. Trust papers: Reproductions of some documents relating to the Leicester Rationalist Trust. 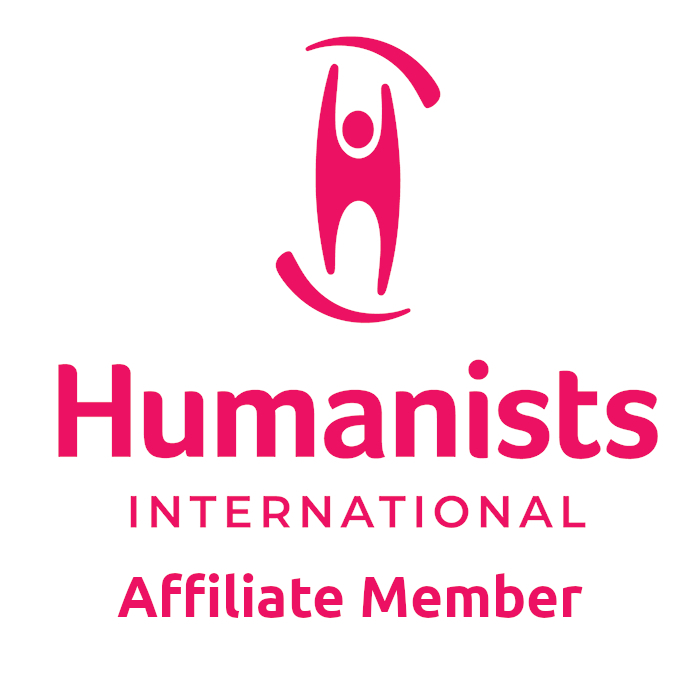 Biographies: See above for a series of short biographies of various people with connections to the Secular Hall. The information comes mainly from books in the Library or from the Internet. "The Who's Who of Radical Leicester" (all deceased) produced by Ned Newitt includes many who were involved with the Society. Records Office: There are some records of the Society which were deposited at the Leicester Record Office, Wigston, in 1968. The following list can also be viewed on five microfilm rolls kept by the Society, made in 1981. An historical introduction by Edward Royle, University of York, 1981, with the title: Religion, Radicalism and Freethought in Victorian and Edwardian Britain. F. J. Gould: History of Leicester Secular Society, 1900. G. J. Holyoake: Address on the death of Josiah Gimson 1883. Minute Books of Leicester Secular Society 1852-1855, 1877-1885, 1885-1902, 1902-1943. Newspaper Cuttings 1899-1909 (five volumes). Records of Secular Hall Company 1873-1905 (five lists of shareholders and three cash books). Sydney A. Gimson, Random Recollections of the Leicester Secular Society. Part I 1932. Part II 1935. There are other records in the British Library and at the Bishopsgate Institute Library, both in London. Details to be included in due course we hope - if you have such information, please let us know! Contact details on our home page. 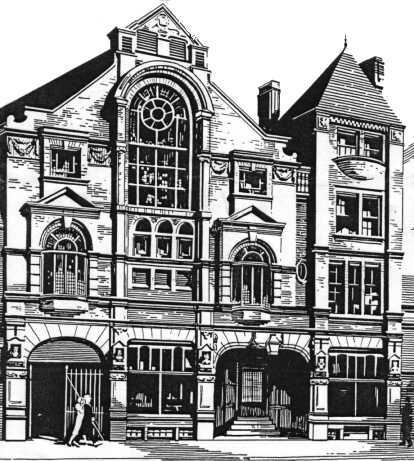 More recently Gillian Lighton has taken forward a project 'For Truth's Sake' - The Story of Leicester Secular Society and Its Hall sponsored by the Heritage Lottery Fund which has a website with further material. This inaccurate representation of Secular Hall is from a framed ink drawing, undated and by an unknown artist. The following lists of presidents and vice-presidents was compiled by Fred Lee in 2000 and is Appendix A in his draft thesis "Secularism from the Victorian Age to the Twenty-first Century; The History of the Leicester Secular Society." 1949 G. A. Kirk .. These Rules have been superseded by the Memorandum and Articles of Association as indicated above. They are presented for historical interest. * Notes: (a) From 1973 the election of officers seems to have been moved to the mid-year so the dates of end of one presidency and start of another are given as the same year. (b) When I [George Jellis] asked Woody Wood to confirm these dates he denied that he was ever President, so there seems to have been some confusion in the 1990s. [Interviewed in 2013 for the For Truth's Sake lottery funded (All Our Stories) project, Woody explained that he regarded himself as a caretaker president as he only served one year]. As a Limited Company, the rules and constitution of the Society are embodied in legal documents - the Memorandum and Articles of Association. These are not fixed for all time so for historical interest we include past versions alongside the current one here. 2013 (current) M&As as amended at the AGM, 17 Nov 2013. 2010 M&As as amended at the AGM, 7 Nov 2010.